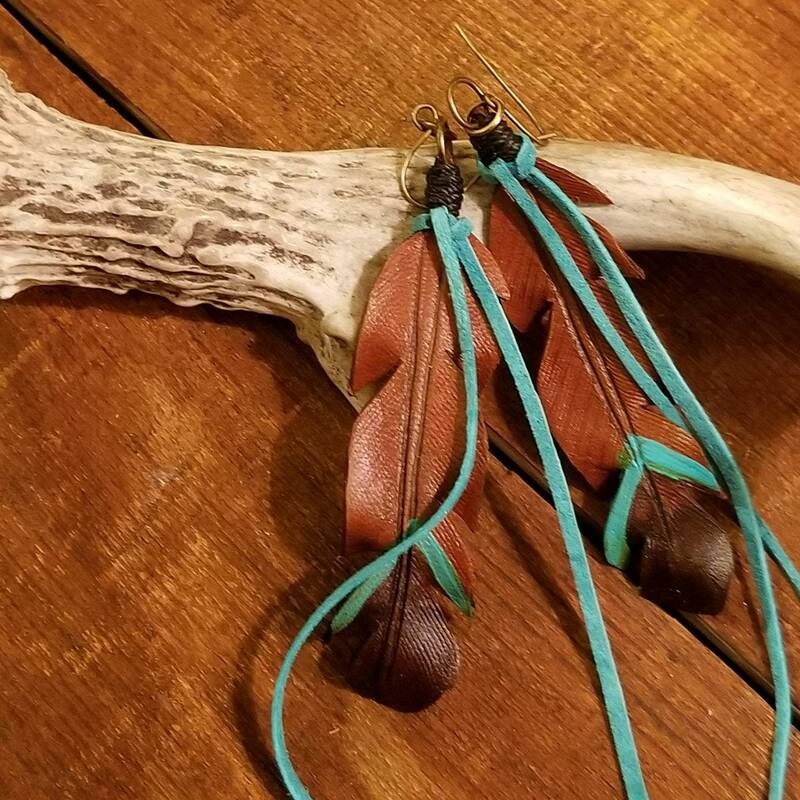 Hand cut and shaped leather feather earrings. 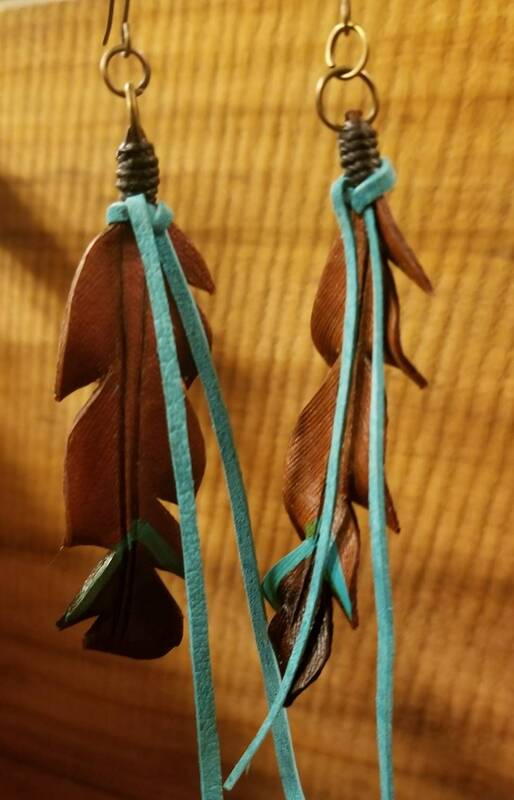 After shaping, the earrings are then dipped into 2 different brown leather dyes. 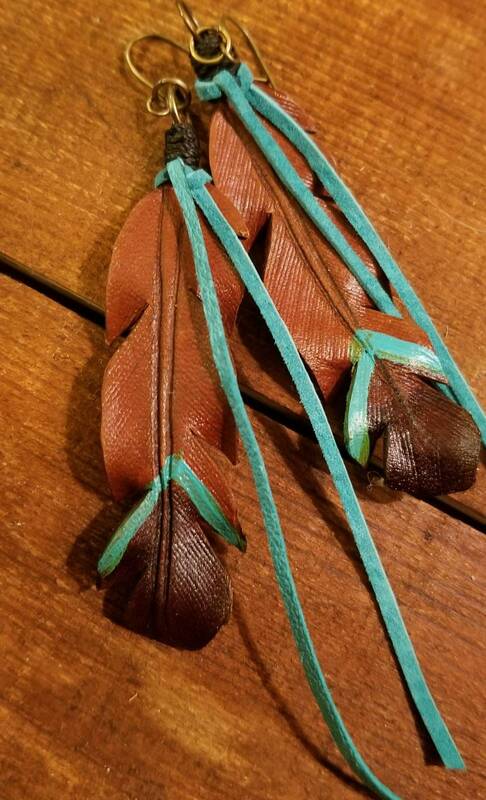 Once dry, the feathers are accented with a turquoise chevron stripe. The dye underneath interacts with the paint to create the unique color. 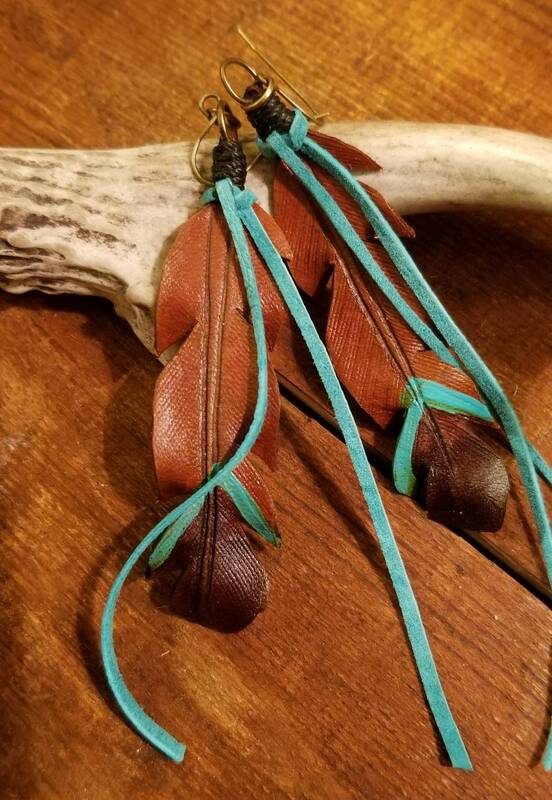 The feathers are hung from bright copper earring wires,are 2.75 inches long and accented with turquoise ties. ***You will not receive this exact pair of earrings, but one that is very very similar. Each unique, each the same.